WHY: Infuse a bit of darkness into your all-black wardrobe with some sparkling help from Karma El-Khalil. 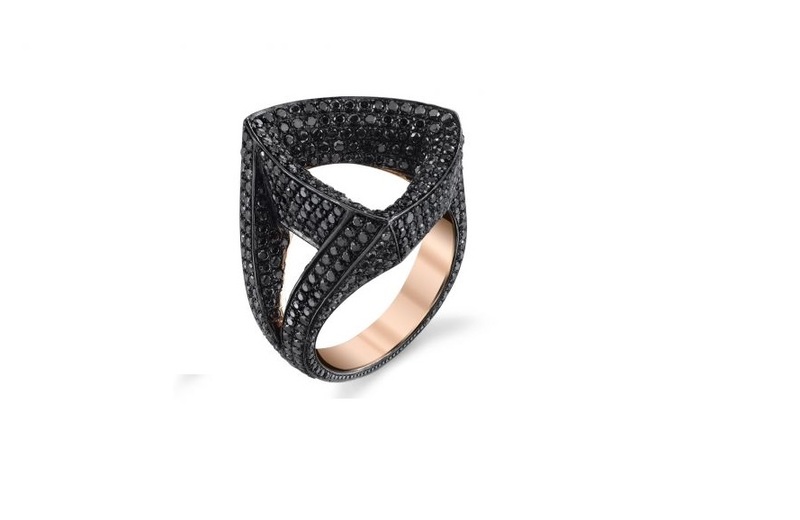 On paper, this knuckle duster is a stunner: a smattering of black diamonds, set in 18 karat gold avec black rhodium. And from the looks of it, those karats translate well in person too. So slip this ring into your repertoire and watch everything else fall into place.